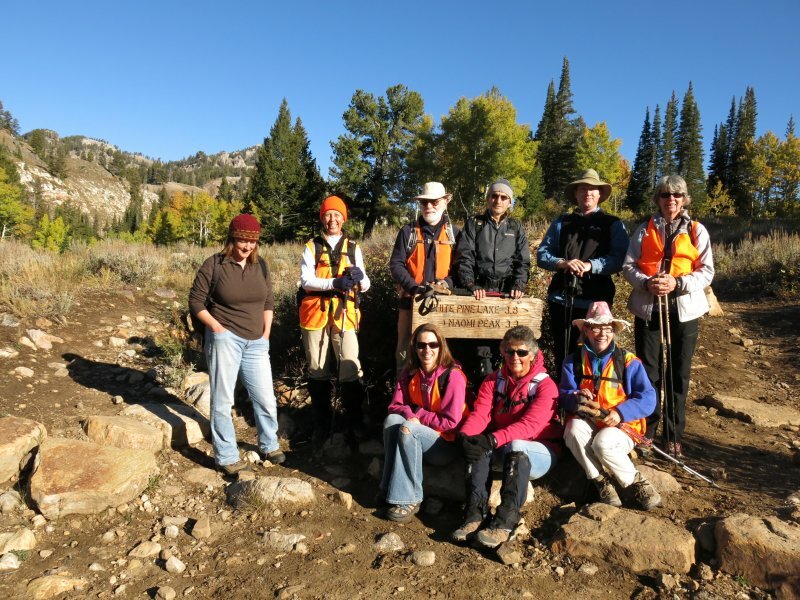 Ten Cache hikers enjoyed this pleasant fall hike: Jane, Dave P., Kathy, Deanna, Christine, Stephanie, Ryan, Terrry, Denis and hike leader Dave W. At 8:00 am we assembled at our usual spot at Smith's Marketplace and made carpooling arrangements for the trip up Logan Canyon. 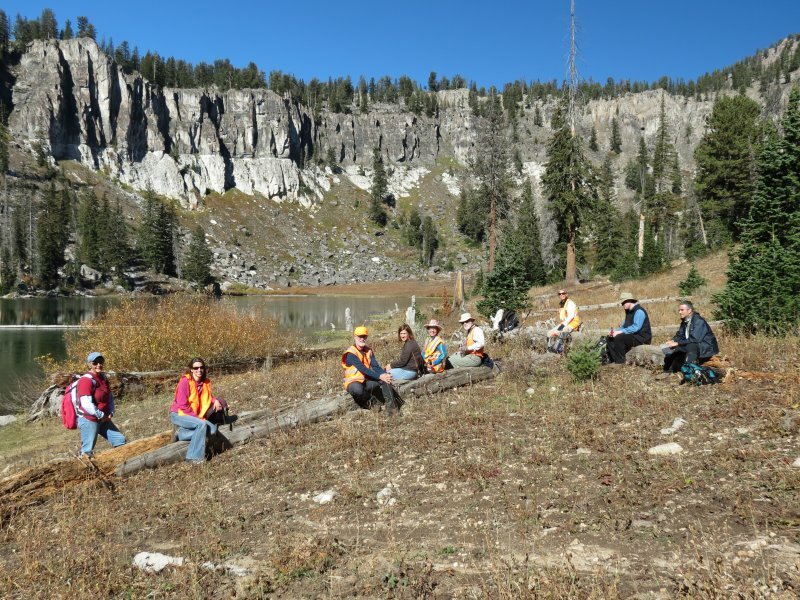 We left a vehicle at the Steam Mill trailhead in Franklin Basin and loaded everyone into the remaining vehicles for the drive to Tony Grove. 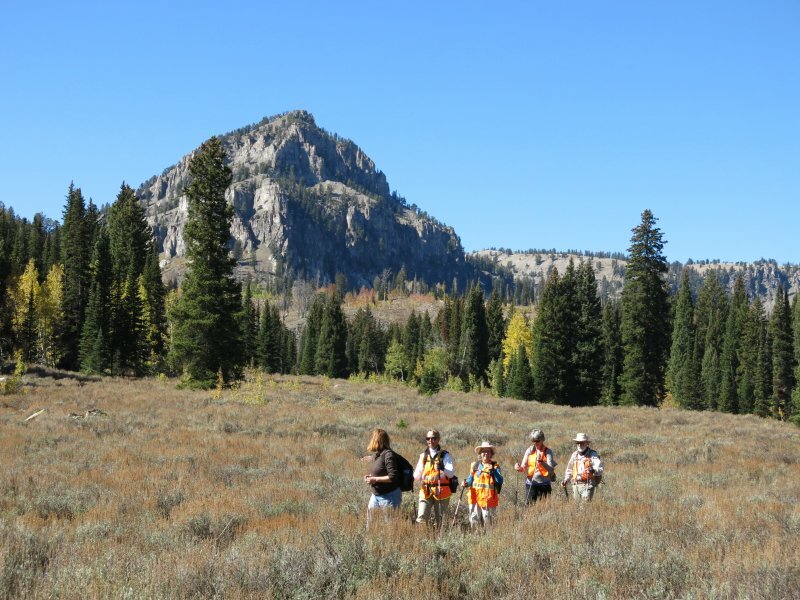 A number of our hikers donned "hunter orange" clothing for extra safety on this opening week of elk hunting season, and we started hiking about 9:30 under cloudless skies and frosty temperatures. Warm sunshine and the exertion of hiking caused us to shed clothing layers within the first half hour. There were a few locations with sticky, slippery mud, but most potentially muddy sections were frozen. Thin snow covered the shady north-facing slope as we descended into White Pine Canyon, but the remainder of the trip was sunny and and comfortably warm. We went to White Pine Lake to enjoy a leisurely lunch break, then headed back down to the junction with the White Pine-Bunchgrass Trail. We hiked down White Pine Canyon through evergreen groves, golden aspen and sagebrush meadows to an old beaver dam. After a break here, we continued down the trail to the junction with the White Pine-Bunchgrass Canyon trail. Someone had carved an arrow into the confusing trail sign here to show the right way to Franklin Basin (ahead, behind the sign). This final trail section was not very well maintained. Numerous logs blocked the trail along this section, although many of these may have fallen within the last week. 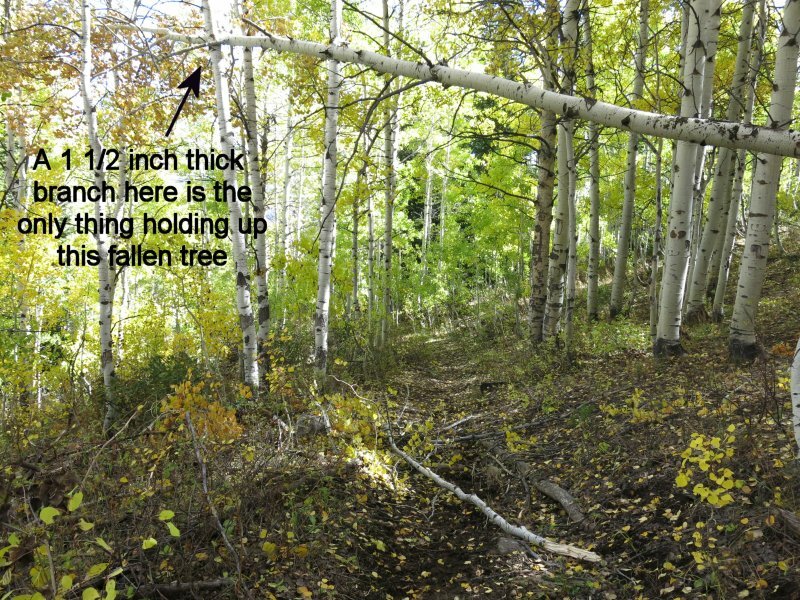 One hazardous tree was suspended over the trail, ready to fall at any time. The last 1.5 miles, from White Pine Creek to the Steam Mill Trailhead, is a confusing network of livestock trails, but we negotiated it without difficulty, thanks to a recent scouting trip, . We arrived at the Steam Mill Trailhead and our waiting vehicle about 3:40. The drivers rode back up to Tony Grove to retrieve their vehicles so they could return to Franklin Basin and take the remaining hikers back to Logan, arriving there about 5:00. This was a pleasant hike, with great weather and fall colors. We had the entire trail to ourselves, with no hunters or other hikers. 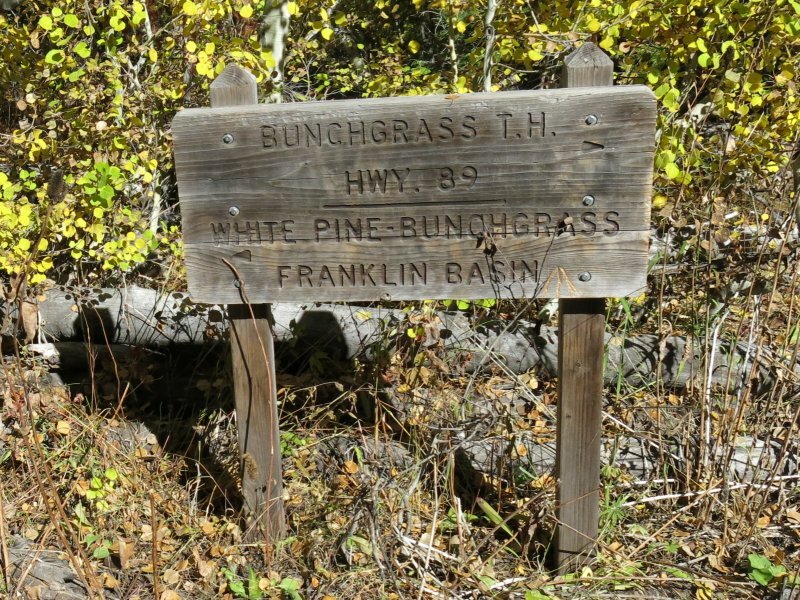 Next year, however, we likely will return to our usual route, ending this traditional fall hike at the Bunchgrass trailhead and Highway 89.